Jazz bassist legend Christian McBride answers our Take Five questions and talks about who would be in his ultimate fantasy trio. 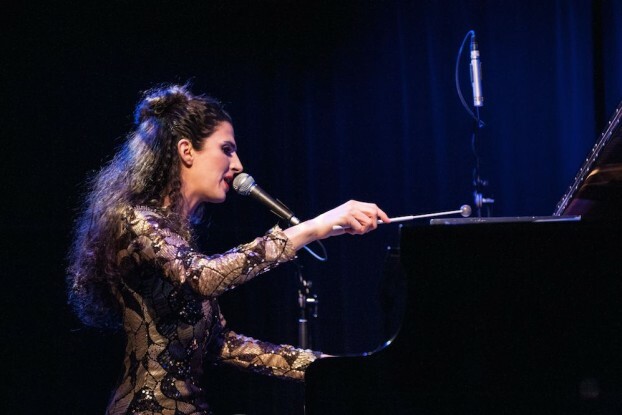 Canadian jazz pianist, singer, and composer Laila Biali answers our Take Five questions and has some solid advice for young musicians trying to make a name for themselves. With the release of the full 2014 Saskatchewan Jazz Festival schedule we can finally get a look at what’s going on at the Bassment — which is once again the festival’s jazzy stronghold. Since the big-ticket main stage at the Bessborough isn’t playing host to any jazz megastars this year (like last summer’s visits from Herbie Hancock and Dr. John), let’s investigate the Bassment lineup to see where we’re getting a heavier dose of swing, fusion, and a dash of indie and world music. These musicians and bands have a connection to Saskatoon, they’re a little bit (or a lotta bit) jazzy — and they’re personal favourites, which is how they scored spots on my highly coveted, alphabetically ordered list. Check it out. The headliners include indie rock phenoms Tegan and Sara, funky jam legends Medeski Scofield Martin and Wood (with John Scofield making a festival appearance in Saskatoon for the second year in a row), jazz singer and violinist Cassandra Wilson, and Grammy award-winning bluesman Ben Harper and his good friend Charlie Mussselwhite.